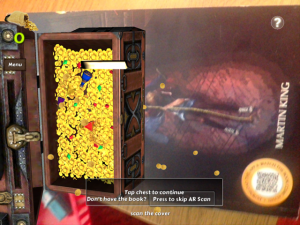 Jack Hunter – The Worlds First Augmented Reality Interactive Book? Hmm.. bold claims indeed! The website for the latest book by author Martin King sings loud and proud about the interactive and augmented reality features of ‘The French Connection’ which promises to bring to life the adventures of Jack Hunter. I should mention here that the publisher did send me a couple of copies of the book so I could have a play with it (and share it in school)! Thank you for that! I’d never gheard of it before – and would happily recommend it to those struggling to get readers hooked! The premise of the book is fairly simple – obviously you can enjoy the book as a story in itself- but to get the most out of it you download an app. (A code comes with the book to unlock the full features) – however completion of the game does unlock links to Book 3 – and an extra chapter. The puzzles, images and games are triggered by the pictures in the books – and the first few times the children do this they are very, very impressed! It really does showcase how well augemented reality can be used! The book tells the story and Jack Hunter and how his school life is interrupted through the seemingly haphazard discoveries he makes with his friends. The children do enjoy reading about other experiences of school and I really liked how the book started with this. It quickly expanded into an exciting adventure with plenty of danger!! Having not read the other books it all made perfect sense and I didn’t feel we needed to know about the other adventure. It’s not a book i’d choose to read aloud to the class – the language and dialogue can feel a little forced at times – but the pupils really got into it, and I know my 9yr old newphew will love it! The idea then is to solve the problems in the book as you go, exploring fantasy settings and helping the main characters with puzzles – a kind of modern day ‘Choose your Own Adventure’ (for those of us old enough!) – I’ll be honest, I thought the children might find the links a little tenuous, and not bother, but they were motivated! They were enthused to read on, and wanted to help one another with the puzzles. 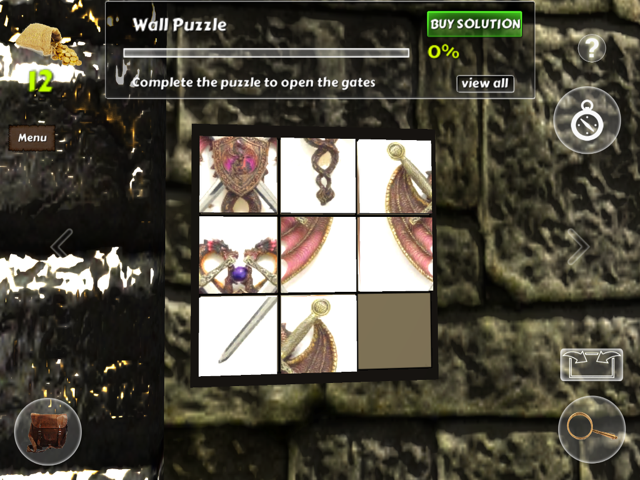 The way in which the puzzles are set out, and the controls of the game, will be familiar to anyone who plays videogames. I found it very similar to many of the first person perspective games – although the touch screen controls can be fiddly – it all worked well! It gives plenty of on screen instructions as well, and there is a system of buying clues with ‘gold’ – presumably you could buy more of this with real life money, but we never needed to. Obviously I was interested in how well it worked in the classroom, it did feel a tad ‘gimmicky’ at first, but it turned out that was only to me. The children lapped it up, and given some thought you could probably get some great writing from some of the settings, puzzles and history in the images. Non-fiction instruction writing, guides to the settings, adventure journals and so on… It’s definitely something I will be exploring. 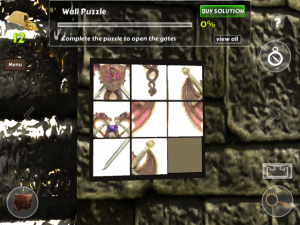 The puzzles were difficult for some, usually those children who didn’t have much experience with games and puzzles, but they quickly caught on – or asked others. It’s fair to say that they would be a great addition to classrooms that have access to mobile tech. 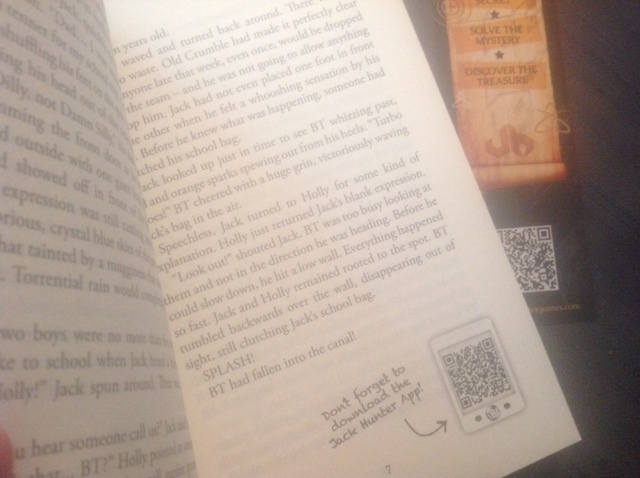 The adventure is also linked nicely to a blog post on the website – giving the children the chance to continue the relationship with the main characters in the book. Thoughts around this type of literature in the classroom could be a whole other article!! But this is just the beginning – I would like to see more ‘character’ in the games – interacting with the narrative more and even making choices which could potentially affect the treasure / chapter at the result. Changing the look of the characters, or making good / bad choices which feed into a story on the webpage for example. It is a genre type that can really be explored.. Final word? It was definitely a hit with the children – and is worth investigating if you have access to the tech in your classroom! Posted by RS on June 14, 2014 in Digital Library and tagged digitallibrary.